Pixe Social, the Maryland-based social marketing solutions developer, will be showcasing its award-winning social media marketing solution, Pixe Social, in booth 609 at South by Southwest in Austin, TX. 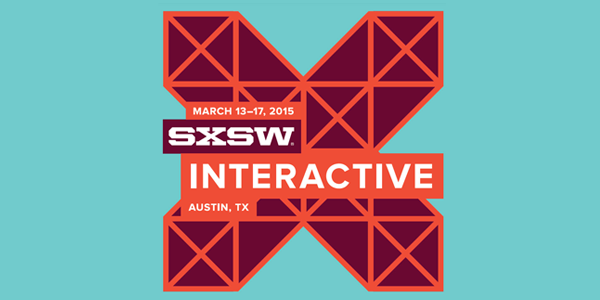 Show organizers expect over 65,000 leaders in technology, music, and film to gather for the SXSW Interactive Trade Show to be held on March 13 – 17, 2015. Pixe Social is a powerful tablet-based social promotion solution that provides interactive engagement for audiences while simultaneously extending a brand’s viral reach on leading social media like Facebook, Instagram and Twitter. Booth visitors will also have the opportunity to experience our superlative real-time social sharing capabilities and green screen technology. For their photo backdrop, they’ll be invited to pick from a variety of satirical comic scenes that address humorous aspects of social media. The photos will be shared live from the exhibits floor on Pixe Social’s social media channels. In an exciting contest, attendees can enter to win a $250 Gift Card if their photo receives the most likes on Facebook by Tuesday, March 31, 2015 (terms & conditions apply). As the 2014 winner of the EXHIBITOR Buyers Choice Award, Pixe Social’s digital media innovations have provided tradeshows, events, businesses, and attractions an easy means to instantly engage audiences on site and year round. Our recent partnerships with prominent brands and events such as SXSW V2V, CES, EXHIBITOR Magazine, MCM London Comic Con, and New York Comic Con have resulted in a tremendous boost in their viral reach within a few days of the activation. To learn more about Pixe Social, or to request a meeting at the event, please click here to contact us today. In an exclusive show special, booth visitors will have the options to sign up for a one month free trial of our solution. For 22 years, SXSW Interactive Festival has provided an incubator for cutting-edge technologies and digital creativity. Compelling presentations and panels from the brightest minds in emerging technology, scores of exciting networking events hosted by industry leaders and an unbeatable lineup of special programs showcasing the best new websites, video games and startup ideas makes SXSW Interactive the place to preview the technology of tomorrow today. For more information visit www.sxsw.com. Pixe Social is a Maryland-based start-up providing turnkey social marketing solutions that is on a mission to take the challenge out of social media marketing by converting audiences into brand ambassadors. Winner of the 2014 Buyers Choice Award at EXHIBITOR 2014, Pixe Social’s solutions have the unique ability to extend a brand’s online community and boost social presence in a matter of days. To learn more about Pixe Social, visit www.pixesocial.com.